Volubilis, Romans in Africa . 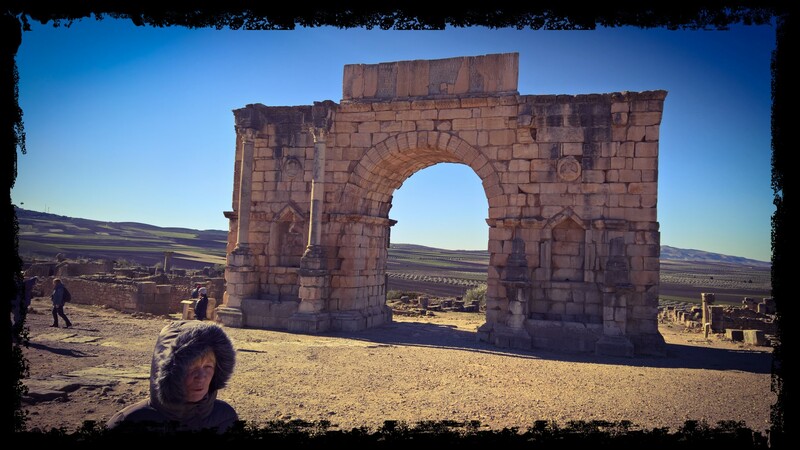 we called into see the ancient city of Volubilis and find out about the Romans in Morocco 2000 years ago, it was very nice and interesting, the best building was the hidden modernists visitor centre, a nice pice of modern work probably 1990’s would make a nice home. oh and the ruins were OK too. It IS sunny and Milly IS warm, the thick coat is just for effect and in no way was it bloody freezing on that mountain side.